Ranveer Singh and Akshay Kumar at Twinkle Khanna’s book launch will give you major bromance goals! Ranveer Singh, the boy next door of Bollywood, attended the launch event of Twinkle Khanna's book 'Pyjamas are Forgiving'. At the event, he was caught bromancing with the Khiladi of Bollywood Akshay Kumar. In the photos from the event, Akshay Kumar and Ranveer Singh can be seen laughing out loud and kissing. Here's what we know. Akshay Kumar and Ranveer Singh, brother from another mother? 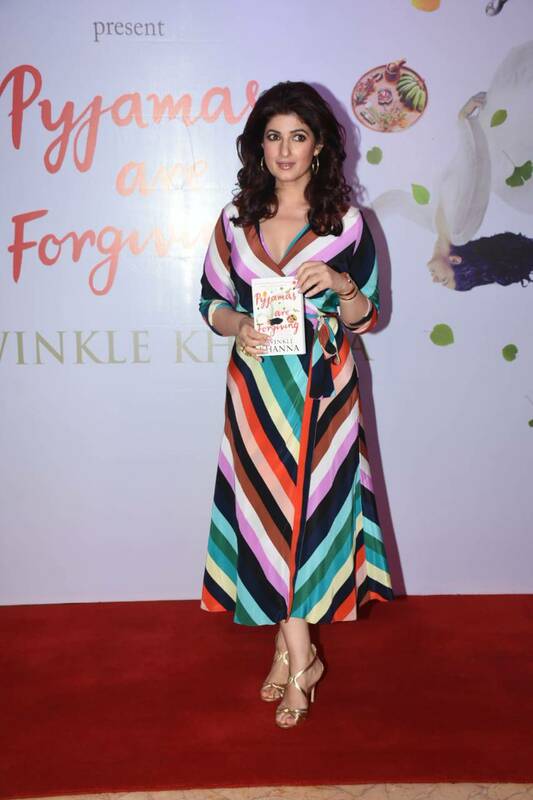 Mrs Funnybones Twinkle Khanna has written 3 books until now, one of which had its launch event at a five-star hotel on August 7 in Mumbai. However, the book is slated to release this week for the readers. The guest list included many Bollywood actors and some of the close friends of Twinkle Khanna. According to what heard, Ranveer Singh and Sonam Kapoor Ahuja also graced the event with their presence. Both the celebrities were looking stunningly stylish at the event with their extraordinary fashion sense. Among the Bollywood stars, Ranveer Singh seized the limelight with his charm. Ranveer Singh is already famous for his cool attitude and blending nature. He never leaves a chance to impress people with his charm. This time too, he was caught bromancing with the Khiladi of Bollywood, Akshay Kumar. The actors were seen sharing a different bond and mingling with each other happily. Both of them were having fun in the little light and happy moments, they were also seen reading passages from the book. The word bromancing is perfect for these two here, as they were seen laughing upon each other and pulling each other’s leg but kissing and hugging in the end like all brothers. It is not the first time that they have publicly shown this love for each other. Earlier too, Akshay Kumar was noted tweeting a heartfelt message to Ranveer Singh on his birthday and Ranveer responded quickly saying that when he grows up, he wants to be like Khiladi Kumar. As per the reports, Anu Dewan, Tania Deol and others were among the first lot of arrive at the event. Appreciating the work of Twinkle, Karan Johar read and narrated a chapter from the book on stage. Sonam Kapoor Ahuja was as always looking stunning in her boss lady looks.